This very elegant tray was made during the Art Deco period. 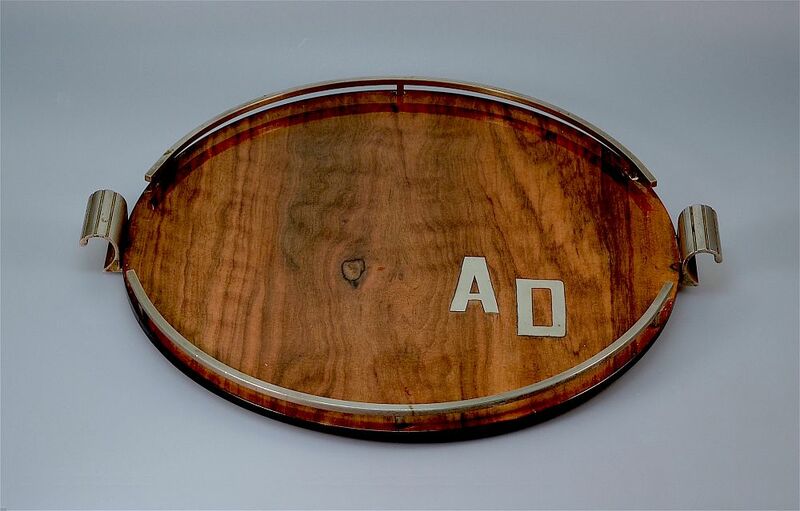 It is circular and made of what appears to be walnut veneer with a raised nickel plated gallery and nickel plated curved handles. 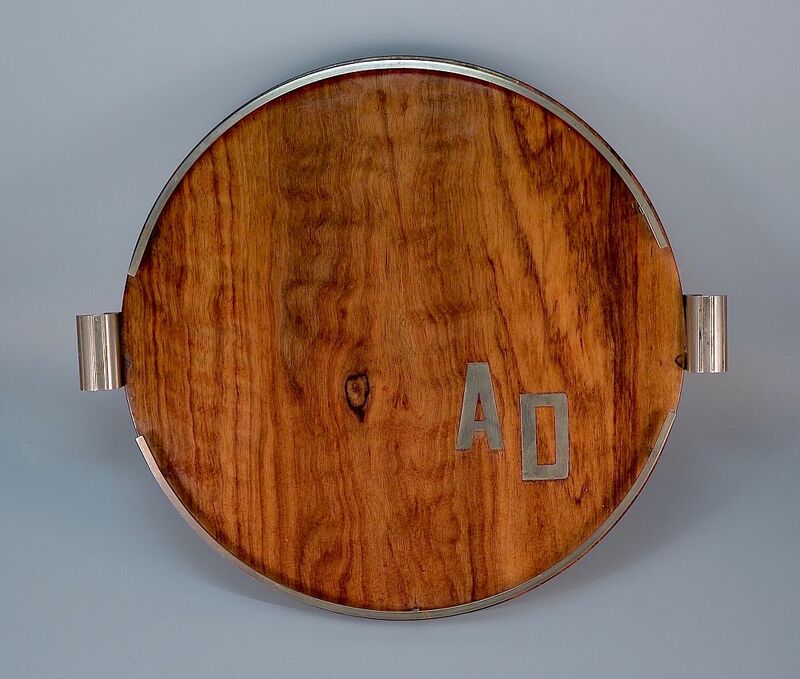 Laid into the lower right hand side of the tray are two nickel plated capital letters "A" and "D". The tray has three small domed feet.